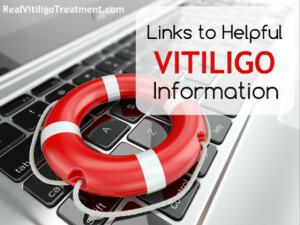 You are here: Home / Causes of Vitiligo / Nickel Allergy and Vitiligo – What’s the Connection? I just discovered something very interesting about nickel and vitiligo that I want to share. I recently had a hair mineral analysis done, my second in four months. It revealed that my body is dumping significant levels of nickel. Besides nutritional deficiencies, you should also look to heavy metal poisoning as a possible cause, and the source could be as close to hand as the front of your nose. Chronic skin contact with nickel has been implicated in vitiligo, and in two patients studied, the cause was put down to the metal frames of their eyeglasses, which were made of nickel. Both patients turned out to have nickel hypersensitivity, which in turn caused low production of melanin (Yonsei Med J, 1991; 32: 79-81). Now, I have not had any allergy testing done, but I am pretty certain that I do have a nickel allergy. I absolutely cannot wear cheap earrings in my ears because I get unbearable itching-so I really don’t wear much costume jewelry. I don’t wear eyeglasses either. However, I did discover that tap water can contain some significant levels of nickel, especially the first water to emerge from the pipes in the morning (source). Then it dawned on me that I constantly had my hands in hot tap water when I would wash dishes (I didn’t have a dishwasher). Nickel plated pipes can leach nickel into the water when the water is hot. I find this very significant since most of us develop vitiligo on our hands first – which is a strong indicator that there is some kind of allergy to some substance since we use our hands for EVERYTHING. If you have a lot of piercings or you wear a lot of costume jewelry, you might want to give it a rest for awhile. 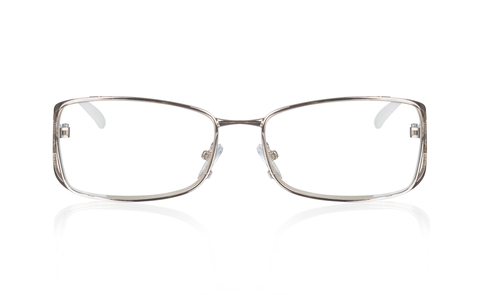 If you wear nickel-plated eyeglasses and you have vitiligo on your face, consider wearing contacts or swap your glasses for some others made with different material. I’ve seen a lot of people asking if it’s safe to get a tattoo with vitiligo. Interestingly, if you have a nickel allergy, it’s likely you may also have an allergy to tattoo ink, so be careful. Individual diets may vary, leading to substantial variability in nickel intake. For example, if an individual consumed the following daily diet: breakfast—a bowl of oatmeal (0.22mg of nickel) and one banana (0.04mg); lunch—one whole grain bun (0.01mg) with a chicken breast (0.01mg), green beans (0.03mg), and a Hershey’s bar (0.01mg); dinner—a serving of broccoli (0.02mg), a baked potato (0.02mg), and a pork chop (0.005mg);snack—a half-cup of peanuts (0.22mg)12; his or her nickel intake for the day would be 0.58mg of nickel, which is well above the amount shown to cause flares. The best thing to do, of course, is to get allergy testing done to confirm whether or not you do actually have a nickel allergy. But, if you don’t want to do testing, you can always just eliminate all nickel exposure. The only problem with this is that it is a bit inconvenient to do and you may have to stick with it long term before you see any results. So it probably better to know for sure if you have an allergy so you won’t be wasting your time and energy. Eliminated all jewelry, or at least be sure your jewelry is nickel free. I bought some shoes with buckles on them from TJ Maxx about 10 years ago. After I wore them a couple of times, my feet depigmented. I think you’re correct! This is a great theory. I have vitiligo and a nickel allergy. I never made the connection until today. The immune response sends out hydrogen peroxide which kills the melanocytes. I always wondered what the trigger was. Vitiligo disease can be attributed to many things. You should not write unsubstantiated information. We recommend that you write is based on proven scientific facts. You are correct. 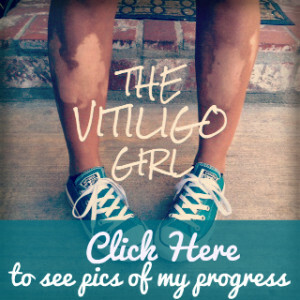 Vitiligo can be attributed to many different things…which is why I write about many different things. It is my hope that it will help people figure out what their trigger may have been, since it is different for all of us. I appreciate you visiting, but this is my blog and I will write what I want :).